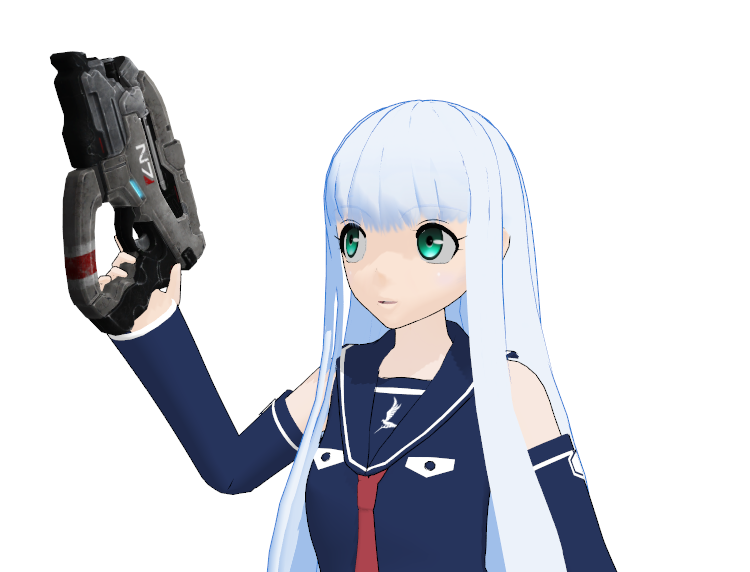 What happens when you take the N7 Eagle pistol from Mass Effect 3 and slap it into Iona’s hand? This. Something I drummed up while playing around in MMD one night. From what I can tell, this is actually the official model used in the anime, ported for use in MMD. Interesting.